Before proceeding, let me remind you of how one can arrive at a “centrist” group. It’s called averaging. Suppose the group consists of two Republicans, one voting with Trump 51% of the time and the other voting with Trump 49% of the time. The average is a centrist 50%. Now suppose a different group, one Republican voting with Trump 100% of the time and the other voting with Trump 0% of the time. The average is still 50% - (100 + 0)/2. 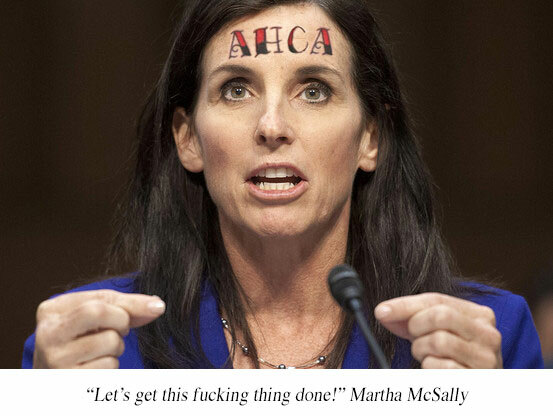 Martha McSally, until recently, was voting 100% Trump (now her record is 97.5%). I see nothing “centrist” about McSally.